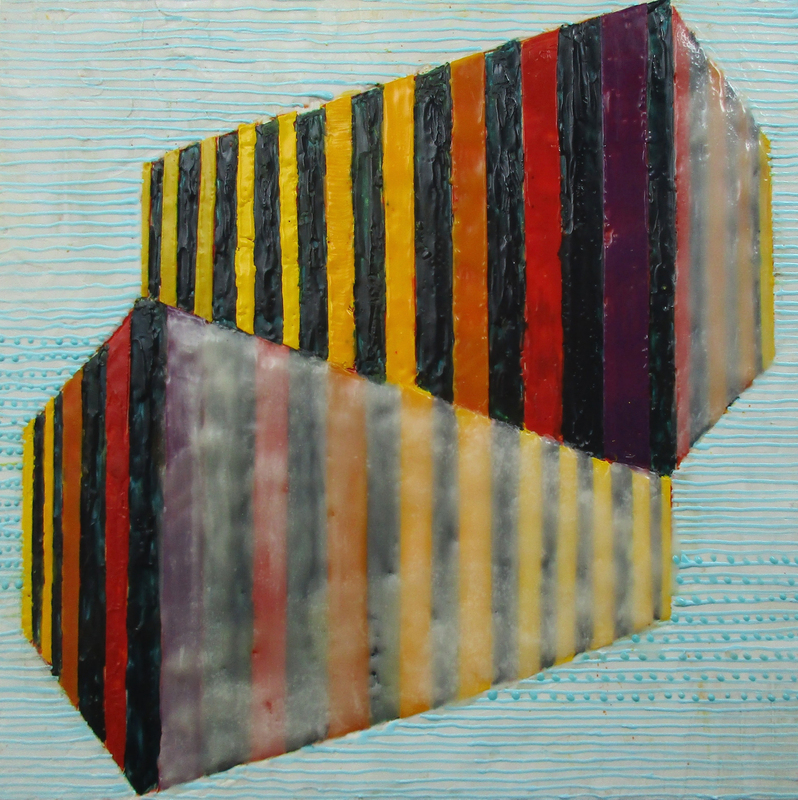 Debra Claffey, Theory of Impermanence, 24″x24″, encaustic on panel. 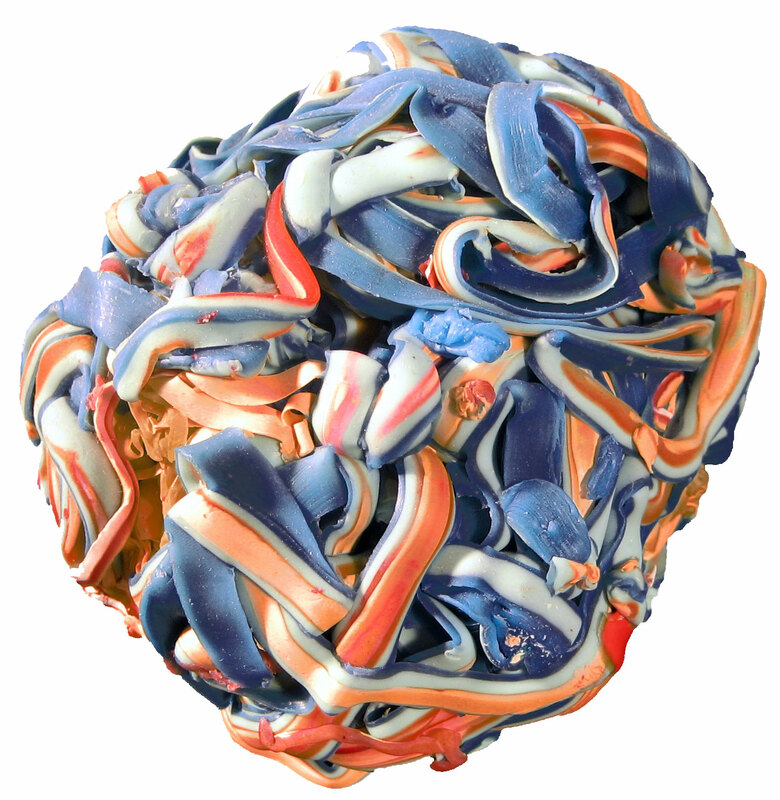 Charyl Weissbach, Arabesque, 12″x12″, encaustic, metal, metal leaf, and resin. 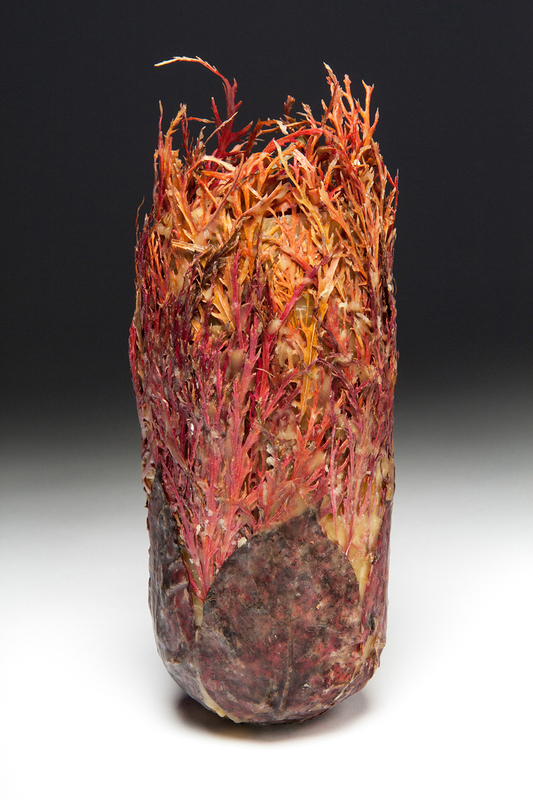 Jane Allen Nodine, Apparition #116, 24″x18”, wax and pigment on Japanese paper. Marilyn Banner, Lavender, 12″x12″, encaustic on panel. 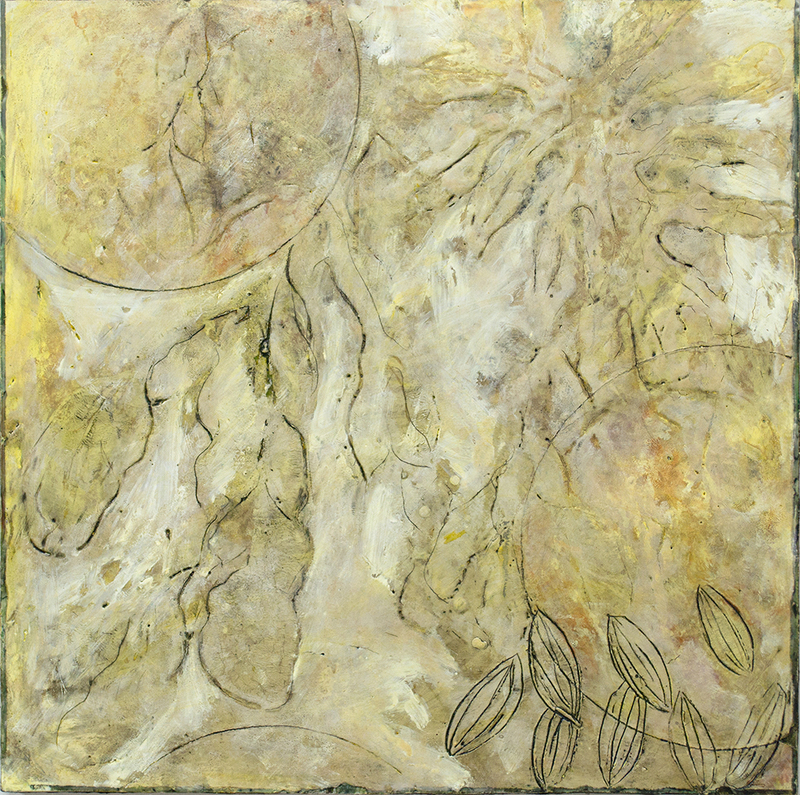 Susan Delgavis, Verdant Dreams, 24″x24″, encaustic on panel. 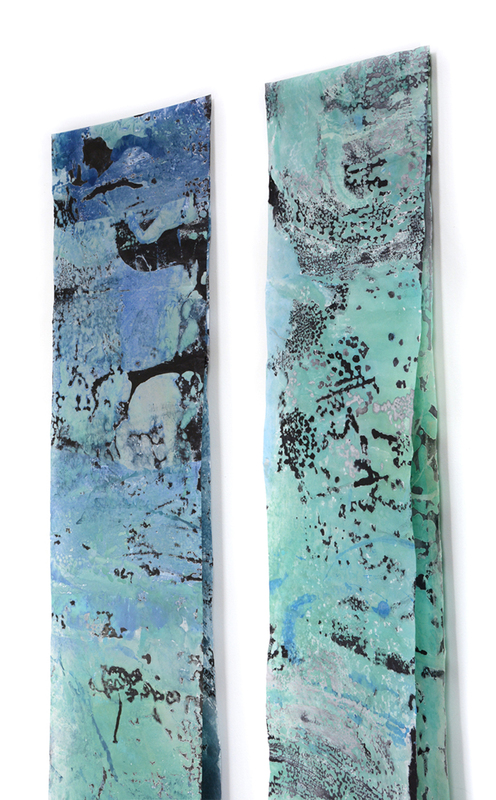 Tracey Adams, Benthic Benthic Mapping 1 and 2, encaustic and ink on Kozo paper, each scroll is 144″x18″. 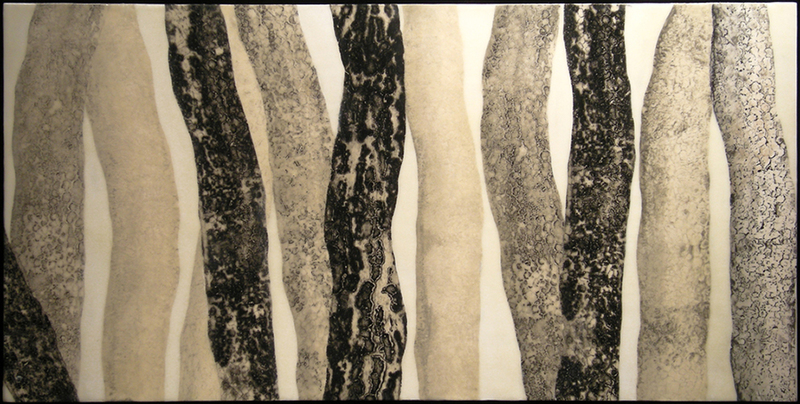 Pamela Wallace, In the Woods XXXVII, 18″x36″, encaustic/collograph collage on panel. 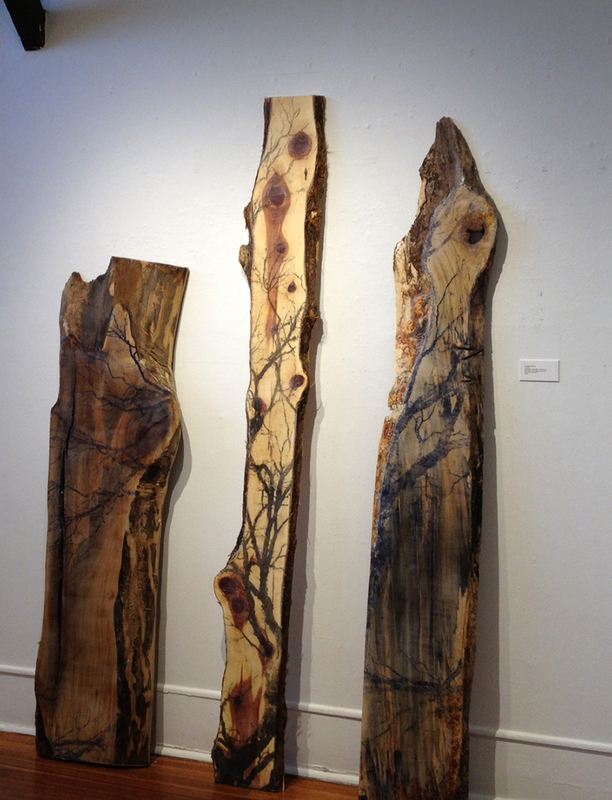 Christine Shannon Aaron, from left to right, Echo III, Echo II, and Echo I, lithographic monoprint, Asian paper, and encaustic on wood. 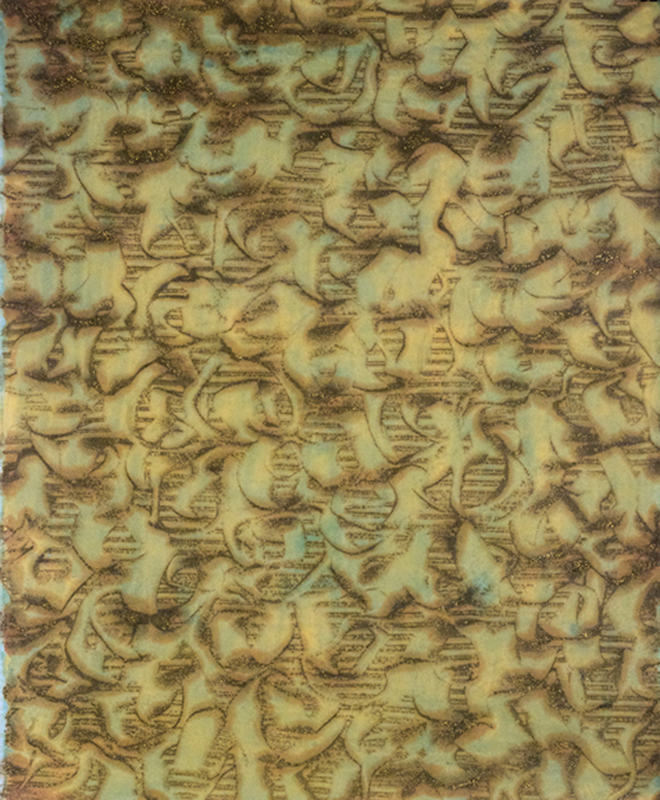 Susanne Arnold, O. avosetta Brood Chamber – Autumnal, 6″x3″x 3″, encaustic, botanicals, beeswax . 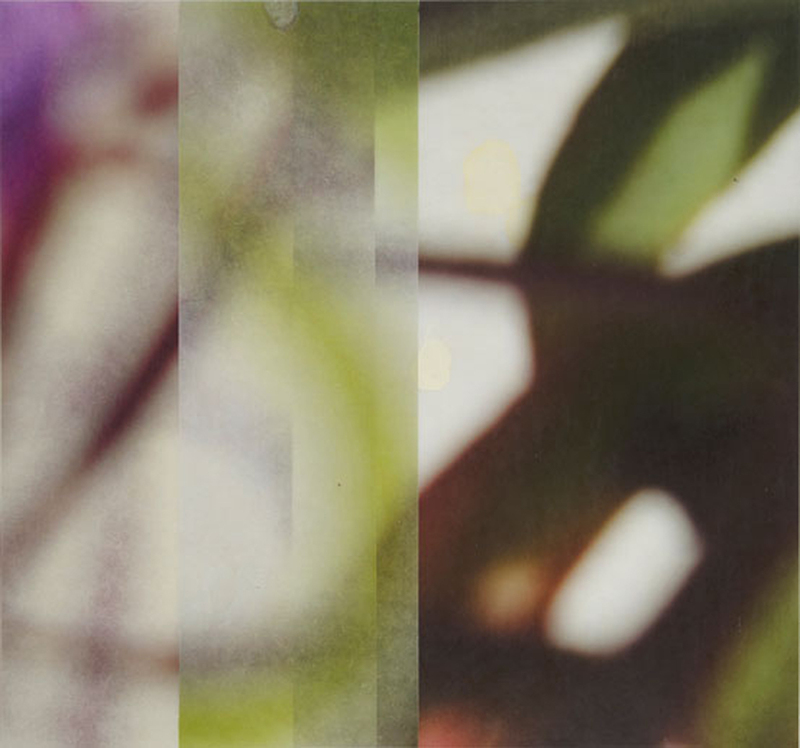 Jane Goethel Guthridge, The Space Between, 19” x 36”, archival pigment print and encaustic on translucent Asian papers. 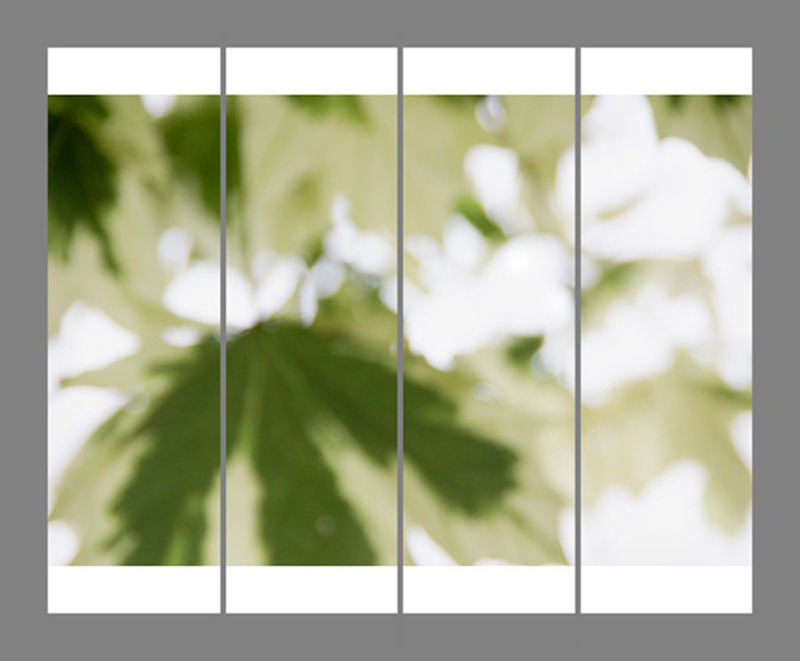 Jeri Eisenberg, Under the Norway Maple, No. 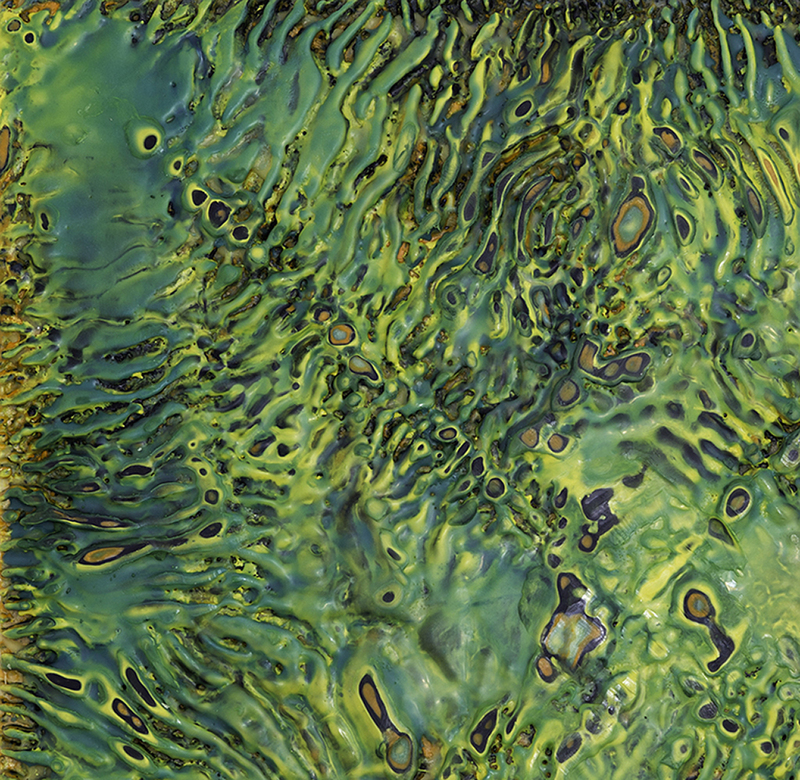 4, archival pigment ink on Kozo paper infused with encaustic, 36″x34″. 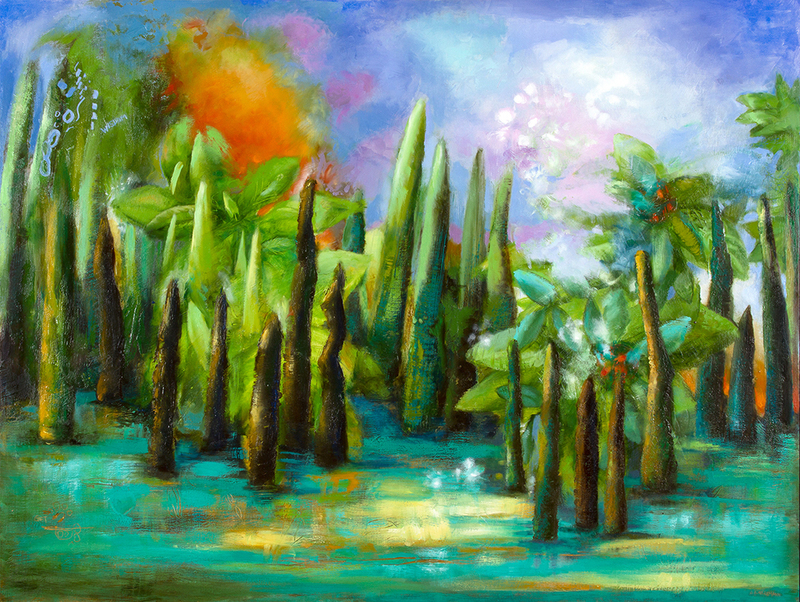 Leslie Neumann, Garden of Unearthly Delights, 48″x64″, encaustic. This issue’s featured images have been guest curated by Debra Claffey, a visual artist who uses encaustic, oil, and mixed media in her work. She holds a BFA in Painting from the School of the Museum of Fine Arts in Boston and Tufts University and an Associate’s Degree in Horticultural Technology from the University of New Hampshire. 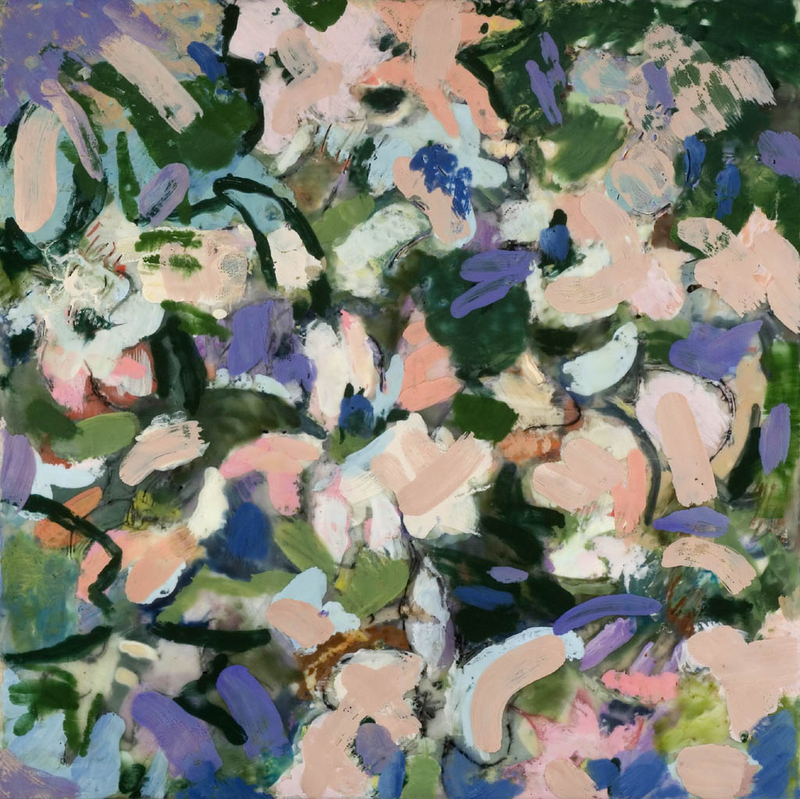 Claffey has exhibited across the country, especially here in New England, and has work in several private collections. 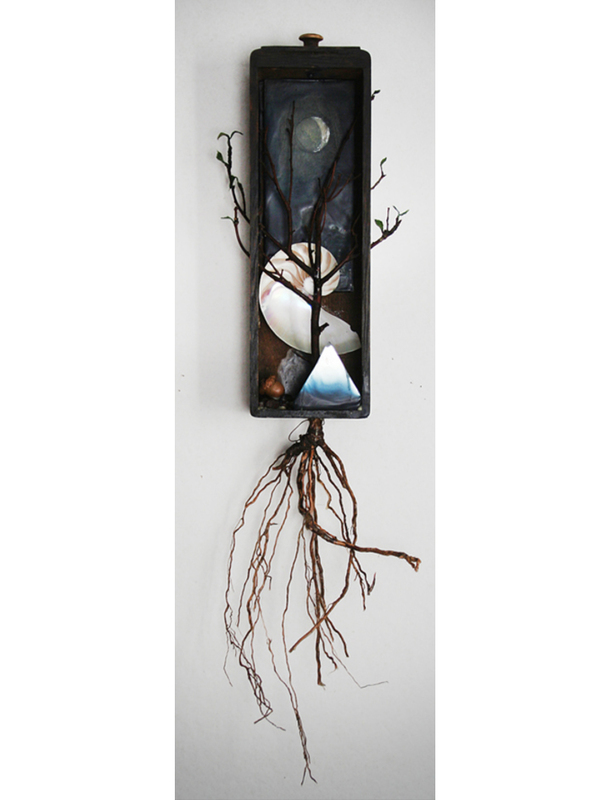 She is represented by the Hole in the Wall Gallery in Raymond, Maine. She is a juried member of the NH Art Association and the current President of New England Wax, a collective of artists who use encaustic. Additionally, Claffey writes a blog, Making Something Out of Nothing. 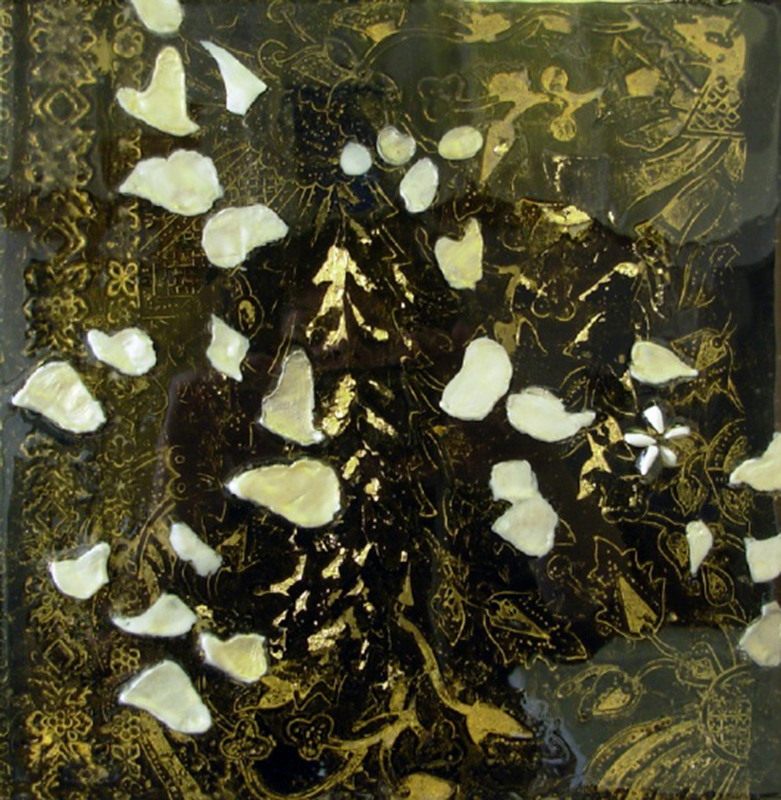 In June 2013, she organized her first curated exhibition, Natura Viva: Flora, Fauna, and Us, at ArtCurrent Gallery in Provincetown in conjunction with The Seventh International Encaustic Conference. You put together a thoughtful and varied group of artists! Great job, Debra and everyone whose work is included!! !